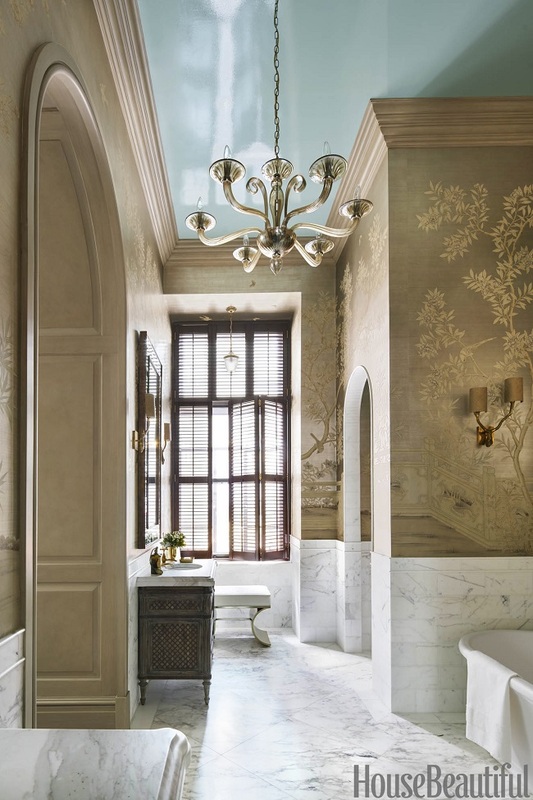 This Manhattan bathroom designed by Eddie Lee absolutely blows my mind! Luxurious, elegant and visually interesting, this beautiful en suite bathroom is right down my alley. The juxtaposition of European classicism with a touch of Eastern elegance is quite unexpected and delightful. The showstopping element is definitely the gorgeous chinoiserie wallpaper. It creates an instant design statement as soon as you enter the room and provides the perfect backdrop for other bathroom fittings. The addition of stunning marble arches, marble wainscoting and marble floors creates a sense of timelessness and luxury. 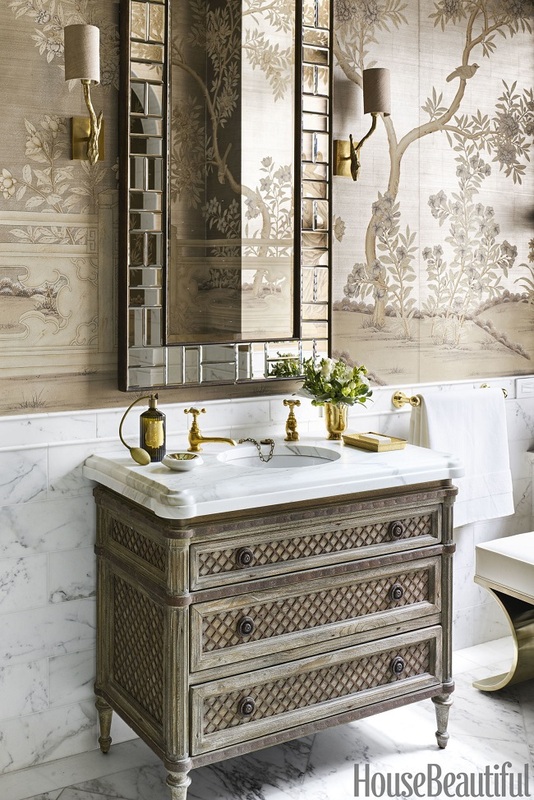 The brass fixtures and accents throughout the room complements the lavish look in the space while the weathered treillage bathroom vanity provides warmth and visual interest. 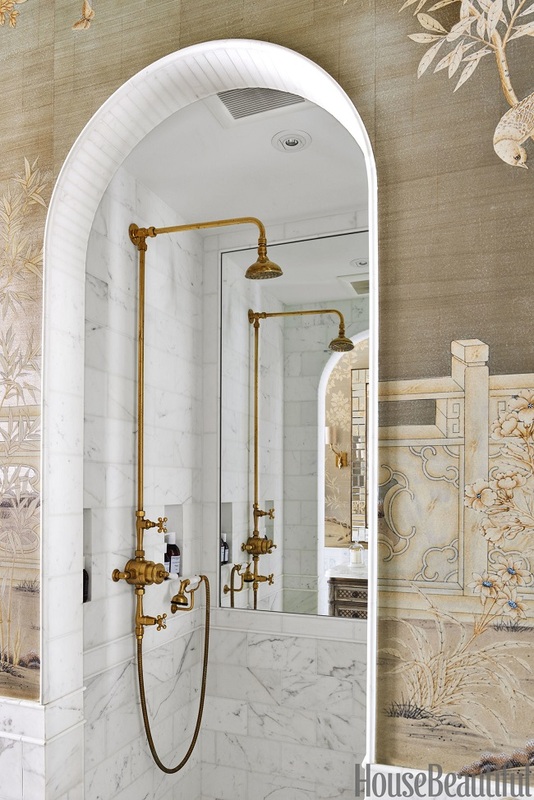 A thoughtfully designed bathroom with plenty of gorgeous, fancy details, what's not to love? Your thoughts? Jessie I'd never leave this bathroom!!! It's fabulous!